Katherine Reeve, UK recipient of the 2017 International Museums and Collections Award, has recently commenced her month long placement with the museums and cultural collections of the University. 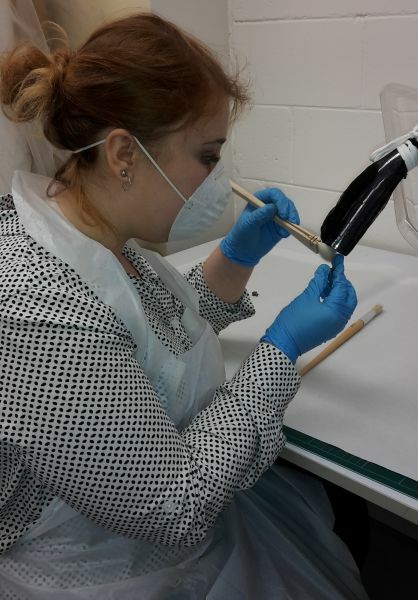 A Masters of Research student from the University of Birmingham, Katherine is working with collections staff on a variety of projects that will give her the opportunity to develop her professional skills and knowledge of the cultural sector. Applications for the IMaC Award are currently open for the reciprocal part of the exchange which will see a Melbourne student selected to travel to the University of Birmingham early next year. Follow her cultural adventures in Melbourne via Katherine's blog.